Since a few years we, OLFASCAN and eco-scan, went our own independent course. As a group we aim to make a difference for you, our customer. We do this by offering a qualitative and optimal service. We can only achieve this through and with our employees. That is why OLFASCAN and eco-scan consider it important to pay attention to their well-being in the job. Motivated and committed employees give the best of themselves every day, and you, the customer, reap the benefits. 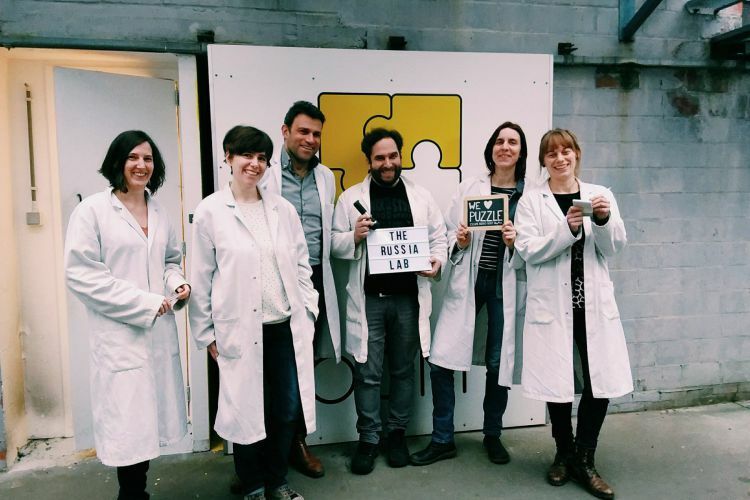 From our colleagues from OLFASCAN we had received a present for our tenth anniversary: Teambuilding in an escape room (the Russia Lab, Ghent).